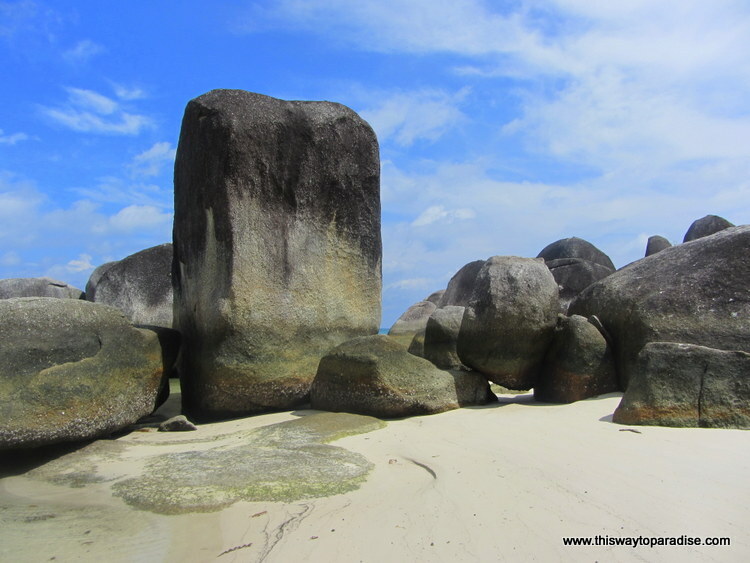 Belitung Island in Sumatra was the only place in Sumatra that I visited. It is an island on the east coast of Sumatra. I saw a few gorgeous pictures of the beaches there, and they convinced me that I just had to go. Tourism is not big on the island yet, so it is a little difficult and expensive to get around. There are no taxis, but there are drivers that you can hire. There are usually drivers at the airport and you will need to negotiate to get a ride to your hotel. I negotiated my ride for about $10 US. To hire a driver for the day to get to the beautiful beaches, it will cost about $40. 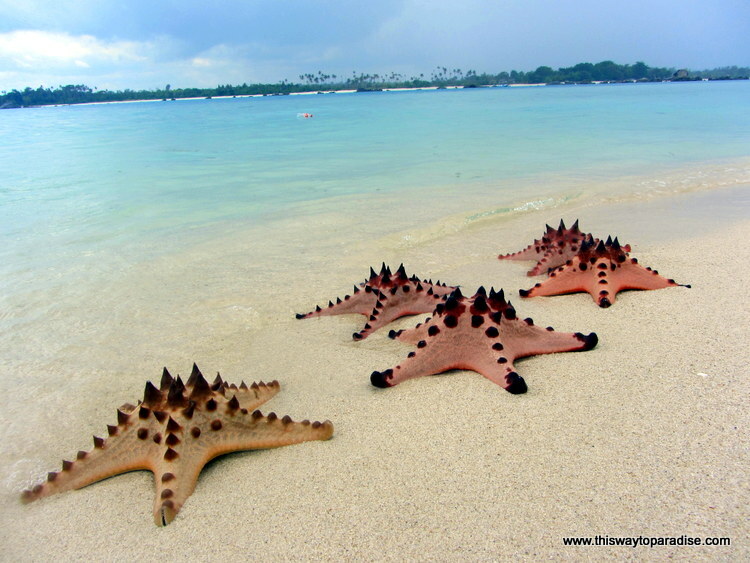 You can also get your driver to arrange a boat trip, which I highly recommend to take you to Sand Island (also known as Pasir Island), the world’s smallest island made entirely of sand and covered with starfish and to other beautiful small islands covered in the huge granite rocks which will be towering above you. The two most beautiful beaches are Tanjung Tinggi Beach and Tanjung Kelayang Beach. The easiest way to get to Belitung Island is by flying into Tanjungpandan at the Hananjuddin Airport. It is only a 45-minute flight from Jakarta. I stayed at the Grand Hatika Hotel. It was across two streets from the beach, but the beach there was very unkept and dirty. You could see the sun set from there, however. There are absolutely no traditional Western restaurants on Belitung Island ,but on the beach road there were several open-air shacks that served decent Indonesian food. There was also a traditional restaurant inside the hotel that was just OK. (Bring SNACKS!) The hotel also had a swimming pool. It is a new hotel and is very clean and modern, and I thought the staff here gave some of the best service I’ve ever seen. The prettiest beaches were too far to walk to and I had to hire a driver for the day to visit those. 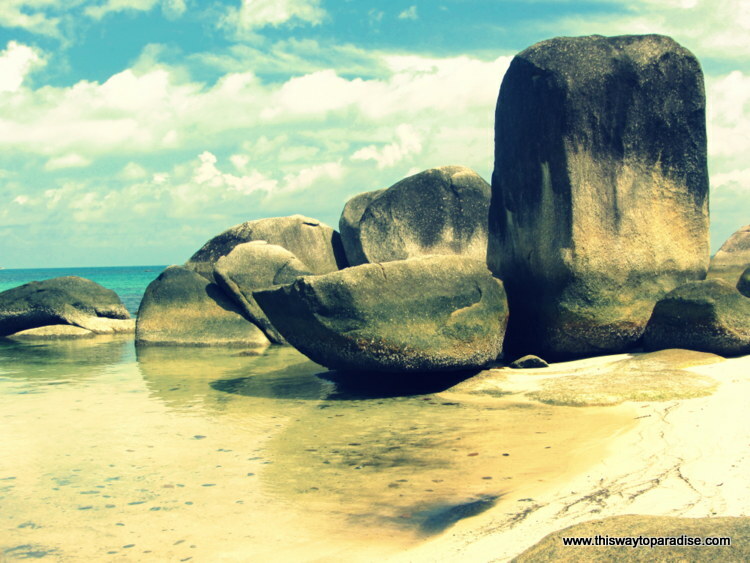 There are not a lot of other tourists to meet, so if you like off-the-beaten track spots, Belitung Island is for you. If you are a social person, I recommend visiting here with friends as you won’t meet a lot of other people. Belitung Island is a breathtaking spot, untouched in its beauty, and a place I highly recommend visiting. I’ve never seen anywhere else like it. You may also like my article about Tanjung Tinggi Beach, the beach I thought was the most beautiful beach in the world!